From inside the talks on Tuesday evening a briefing line that “no real progress” was made today on the rights issues. This after British Secretary of State James Brokenshire had again stretched the time frame for these talks. In this process, those deadlines have become meaningless – there to be ignored. Earlier on Tuesday, Sinn Fein negotiator Conor Murphy acknowledged that credibility becomes an issue the longer these talks drag on. He had again stressed the importance of the issues that have been at the heart of this long negotiation – the Irish language, legacy and marriage equality. Hours later, there was that emerging line pointing to “no real progress” on the above. If this remains the case, then this negotiation will stay stuck. By early Tuesday evening the DUP leader had left Stormont. No Halloween Agreement, but then none was expected at this time. Earlier another talks source said the Irish Government put the chances of a deal at 50/50. This negotiation is down to who needs/wants Stormont more? The biggest decisions are for the DUP. I have written previously on this website that if Arlene Foster wants to be First Minister, if there is to be a new Executive, then these rights issues have to be resolved. Some half-baked or half-hearted deal won’t do – won’t fly. There is no sense of this process being at the last minute of its last deadline but, whenever that moment arrives, the issues will be the same. If there is no real progress on those matters outlined earlier, then there will be no deal. 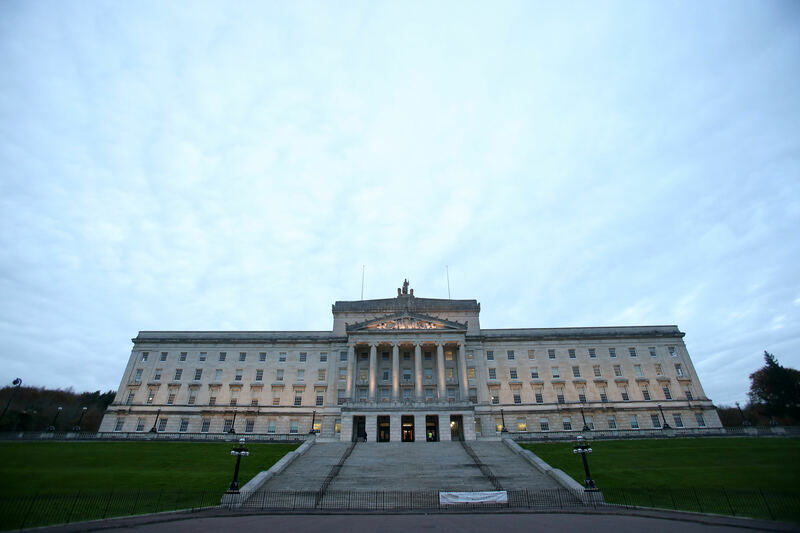 No deal, No Assembly, No Executive and No First Minister. Up to this point, there has been no move to bring the SDLP, UUP and Alliance inside the talking circle; this another indication of the distance still to travel. Those parties will be important in the shaping of any future Executive if the talks arrive at that moment. As the negotiations continue who needs Stormont more? October 31, 2017 in News & Current Affairs. That’s a great question. How have we managed since January? How have we been able to live? The sun still rises and sets, job losses continue to be announced, seasons turn. And all without an assembly. So really, who does need an assembly? Neither the English or the Irish have no interest at all in even trying to create the myth of democracy, as they do in their own backyards. Who needs Stormont more? Who needs Stormont at all?